Many companies don’t depend on in-house resources to handle all of their processes, especially those that require highly specialized expertise. The fabrication of industrial equipment is one such process. 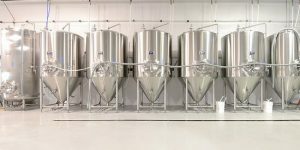 Companies such as breweries, food processing plants, furniture manufacturers, and so forth typically don’t build their own equipment. Instead, they rely on contract manufacturing companies to handle equipment fabrication. A contract manufacturer (CM) is simply a company that contracts with other businesses to manufacture products on their behalf. 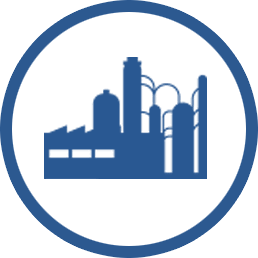 Businesses looking for contract manufacturing services will often get quotes from multiple companies and choose the one that fits best. The company gives the contract manufacturer the specifications they need for their product, and the CM makes that product for them. The company may have its own designs already drawn up, or they may work together with the manufacturer to figure out the exact design of the product. Contract manufacturing is often used for ongoing contracts where numerous items are to be constructed. The items may be products that the company will sell, or they may be assets used in their operations. When trying to understand contract manufacturing, it may help to look at an illustration of how it works. Suppose Bill’s Food Co. is facing increased demand and wants to improve its production rates. To accomplish this, they need updated conveyor systems to handle the overflow. Working with their operations crew, they determine the specifications they need for the new conveyor system. They are a little uncertain on some of the exact details of how the new system will look, but they have a basic idea on paper. They take their specs to a contract manufacturer who helps them hash out the details. The two companies draw up a contract for the fabrication of the new conveyor system. Over the course of the next couple months, the contract manufacturer cuts the parts from steel, then assembles them all together into a functioning conveyor system. After thorough testing to make sure it will work in the client’s operations, they deliver the completed system to Bill’s Food Co. by rail. Their team also aids in the installation of the system and runs some final tests to make sure it all works properly. The service doesn’t necessarily end there, however. The manufacturer may continue servicing the conveyor system long after the sale, adding extra value. Contract manufacturers do only one thing—they build products for customers. 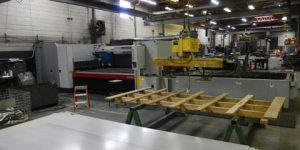 The focus of their entire industry is manufacturing, which allows them to specialize in equipment, training, and hiring. 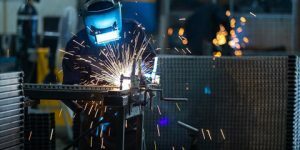 Therefore, they can prioritize channeling their revenue toward obtaining the most skilled fabrication professionals and top-tier equipment without endangering their bottom line. The end result of this specialization is high-quality manufacturing with results that speak to the quality of their workers and processes. This obviously benefits customers who are delivered well-crafted products and assets. The high level of specialization contract manufacturers have allows them to provide their services at a more efficient cost than their customers would be able to achieve on their own. This is because the CM can benefit from economies of scale—they can afford to devote large portions of their revenue to manufacturing, and the large scale allows them to get raw materials at a lower cost per unit. These cost savings are ultimately passed on to their clients. 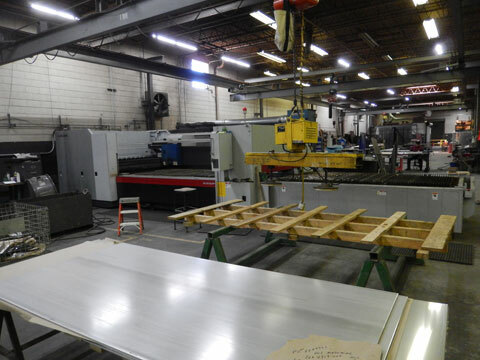 In addition, a contract manufacturer spares the client the cost of maintaining their own fabrication equipment. In the example of the food production company above, they would have saved thousands (if not millions) on capital since they didn’t have to obtain the properties, equipment, and personnel needed to fabricate an entire conveyor system themselves. 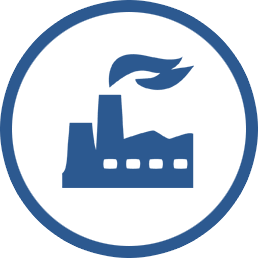 Without the need to manufacture their products/assets themselves, a company using contract manufacturing could dedicate more of its resources toward core processes. A contract manufacturer’s capabilities enable you to concentrate on your business while benefiting from their support. Most contract manufacturers have highly developed quality control processes in place. 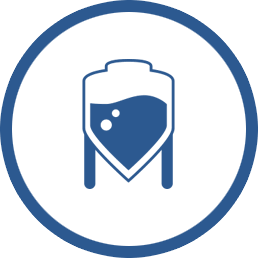 These processes ensure the end customer is completely satisfied with the performance of the manufactured product while also following strict standards of safety and efficiency. Any company with fabrication needs can benefit from contract manufacturing—as long as the CM they choose is reliable and dedicated to the highest quality. When selecting a company to build your ideas, you want one who will adhere to the best practices of design, manufacture, and quality control. Specialization in your specific industry also helps as it translates into greater levels of expertise when it comes to designing and building your equipment. You’ll also want to select a contract manufacturer with whom you can build a strong relationship. When doing so, you get continued support for the product long after it’s completed.